"My letters and my lawyer's letters are ignored," Salah tweeted. "I don't know why this is. Don't you have enough time to answer us? "It is natural for any football association to try to solve the problems of its players... but really what I see is exactly the opposite." Salah's lawyer Ramy Abbas said: "We asked for guarantees regarding Mohamed's wellbeing whilst with the national team, and assurances that the image rights violations wouldn't happen again. That's all. They have yet to respond. "We are not asking for special treatment. I would be very glad if the requests we made for Mohamed are granted to every single player of the national team that needs them." An EFA spokesman said reports that Salah could miss the game are "not right". The EFA also denied that it will open an investigation into Salah following his tweet. 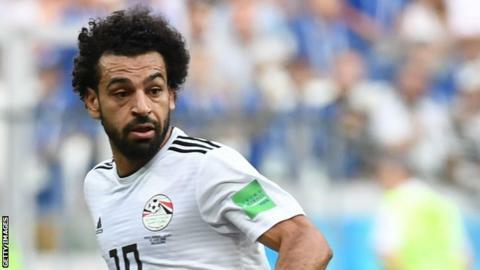 He played two matches for Egypt at this summer's World Cup in Russia after recovering from a shoulder injury sustained in the Champions League final.